CARRY YOUR LIGHT: Shout out for Zack! UPDATE: Zack has a FAMILY coming for him!! Adeye at nogreaterjoymom.com met at an 11 year old boy, Zack, on her trip to Bulgaria to meet Hasya and tells his story on her blog. 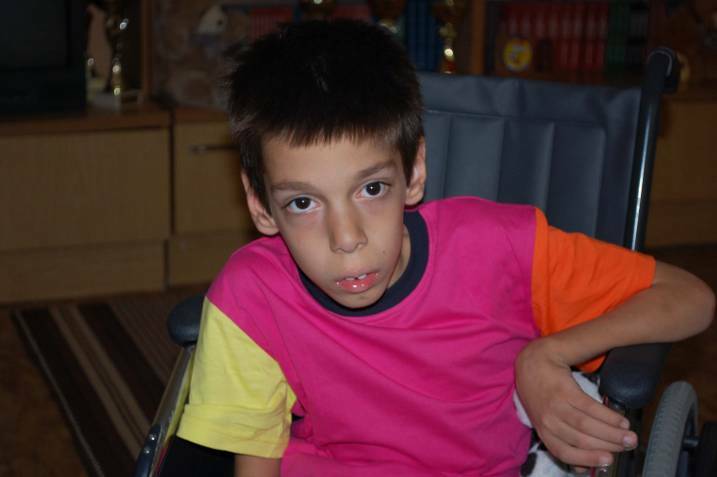 Zack needs a family to step forward in the next six weeks before his file is sent back to Bulgaria. He desperately wants to reunite with his 'sister'. Please read the post below and share! As we drove out of the orphanage gates that Friday just a few weeks ago, we headed to a different orphanage on our way back to the capital city, Sofia. Our driver needed to get updated pictures and video of a little boy who had recently been listed for adoption. We arrived at the institution, and both Susan and I knew that we just had to meet this little boy. Our driver agreed that we could come in with him. We were greeted by many children as we entered the building that day. 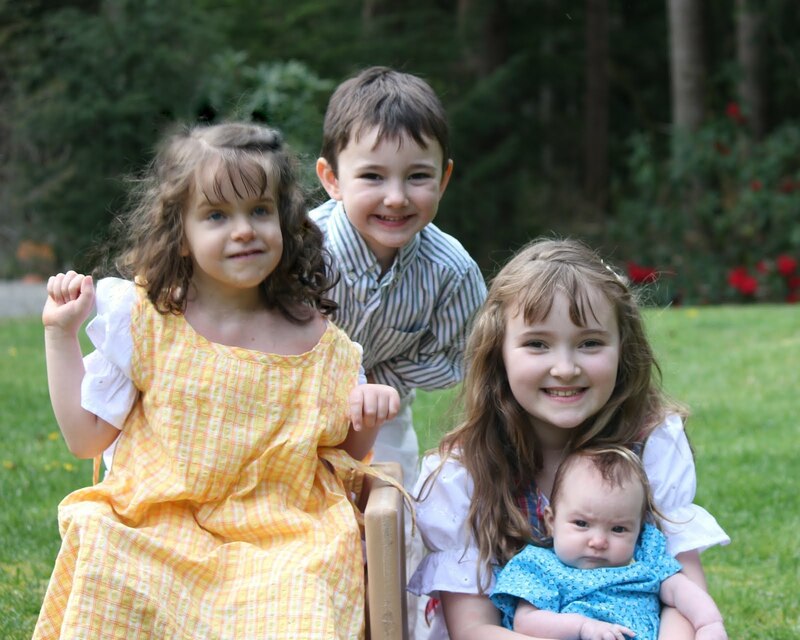 Beautiful, precious, and amazing children all created by the Master Craftsman Himself. Each one with many needs. But mostly, the need for someone to come for them. The need to be loved. The need to be accepted for who they are—His beautiful creations--fearfully and wonderfully made just the way they are. My heart was breaking before we even entered the front door. We were ushered into a smaller room. And within minutes...he came in. The most darling little boy. I thought him to be maybe around eight years old. Later I found out that he is eleven. Susan and I sat watching as our driver tried to interview Zack for a video for prospective parents. Neither of us understanding Bulgarian, we had no idea what he and the orphanage director were saying to the boy. He seemed to do okay for a few minutes and answered their questions politely. Then, all of a sudden, tears started streaming down his little cheeks. He sobbed quietly—unable to get out a single word. We both choked back tears—not wanting the little guy to see us all weepy. We did not know why in the world this sweet and tender little boy was so upset. It was very obvious though that he had such deep pain and that his heart was aching. Sitting there and observing this dear little boy crying heart-wrenching sobs just about ripped my heart out! Everything in me wanted to rush over and hold him tightly—calming his anxious heart and assuring him that God had not forsaken him—that his Daddy in heaven knew what was tearing him apart. Later that day, we heard Zack’s story…. And I knew instantly that I would go to the ends of the earth to help this little boy get the one thing in this life that he has never had, never known. The one thing that made him cry until he literally could not stop! I listened as my attorney shared Zack’s story with me. It began with his best friend, Maria. They grew up in a very decent orphanage (as far as orphanages go) and spent the first eleven years bonding—being together. I am told that they are more than just best friends—but more like family. Until recently, the only family either of them had ever known. 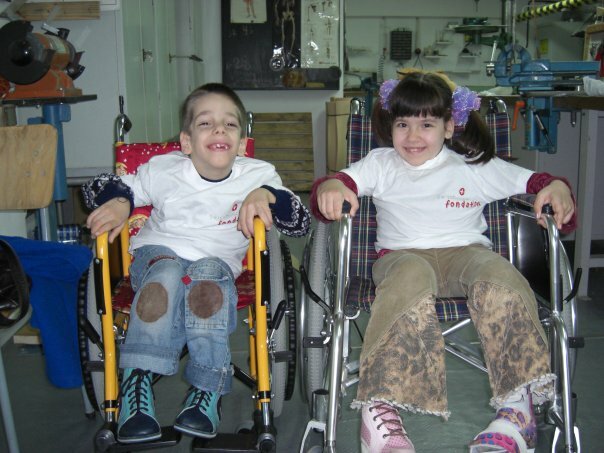 Zack and Maria shared a room (very normal for Eastern European orphanages) and spent every waking moment together—inseparable! But everything was soon to change. Maria was blessed! Unbeknownst to her, she had been found, chosen by an amazing single mom who just knew that Maria was the daughter of her heart. Maria was soon to know what it meant to be FAMILY. I am so thankful that Katherine shared Maria and Zack’s story with me. She met Maria for the first time last December. The social worker at the orphanage informed Katherine that she would be meeting Maria’s best friend, telling her that they were extremely close. She got to know Zack pretty well during that first trip to his country. 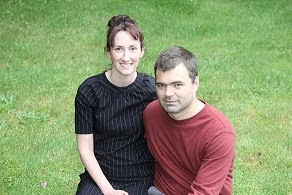 Months passed and finally Katherine was able to return to Eastern Europe to complete the adoption process for Maria. Here’s her account of that day—“Gotcha Day,” as it is known for adoptive parents. “My Gotcha Day was horrible, to say the least. We were asked to be at the orphanage by 11 am so that one staff member could say goodbye to Maria. I got there and did ask about Zack's availability to be adopted. I wanted to help him find his mom. I was told that Zack was being moved that very same day to a new orphanage. These days I understand why he had to be moved and I understand why it was easier to do it all at once....sort of rip the band aid off. My heart still weeps for the memory of that day. 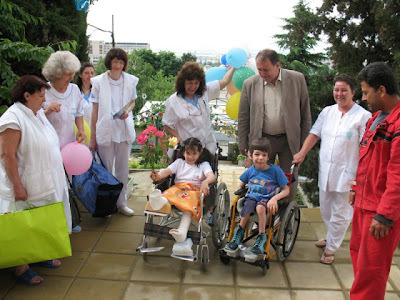 You see, the orphanage that Maria and Zack were at was for children birth through seven years. The orphanage had kept both Maria and Zack until they were 11 1/2, because they knew that the kids were special that they needed the additional care. So, on my pick up date I was looking through the photo album I was given of Maria by the orphanage. The director came in and told me I needed to be strong because the kids (Maria and Zack) were not handling the separation well. I quickly gathered my things and went to the lobby. I saw Zack first. He was in his chair wailing (it wasn't just crying). I walked over to him and gave him the gift I had bought specially for him and tried to tell him that it would all be okay, that Maria would be taken care of. The whole time Maria was wailing over by the stairs while another adult spoke with her. Zack quickly rolled himself back to Maria. These two were hugging and kissing each other....truly like siblings.....weeping and crying the whole time. Finally a staff member rolled Zack outside in his wheelchair. Maria quickly followed. She no sooner got one step outside and was quickly scooped up by the director and taken to our car. It was only made more difficult by the fact that the two cars for the kids were facing each other. So, they could see each other the whole time we were getting everything into the cars and they never stopped crying. Sasha and the orphanage's social worker were with Zack and took him to his new orphanage. Maria cried so much as we left and throughout the day for her friend." Oh my goodness! I cannot even imagine being eleven years old and having to lose the one person in the world you love…and who loves you back! AND be moved that very same day to an unfamiliar new home. And so, on the same day that Maria was adopted, Zack was transferred from his place of safety to an institutional-type facility for children and adults with special needs. And there he has struggled to adjust to his new normal. Katherine returned to the U.S with her new daughter and has done everything she possibly could to keep a promise she made Maria. To find a family to adopt Zack! Thankfully, with the help of the attorney we are using to adopt our children, God has moved mountains and Zack is finally listed for adoption. I have thought back to that day a few weeks ago when Susan and I fought back tears as we watched Zack weeping while sitting in his wheelchair. That he was crying inconsolably simply because the absolute desire of his heart is to have a family of his own too. And to come to America where he can, once again, have contact with the girl who is like a sister to him. I just don’t think I would have been strong enough to hold it together. And so today I come to you all, the amazing readers of my blog, pleading for your help. I KNOW there is a family out there for Zack. What a sweet blessing he would be to a family—he truly is just the most gentle, loving little boy. 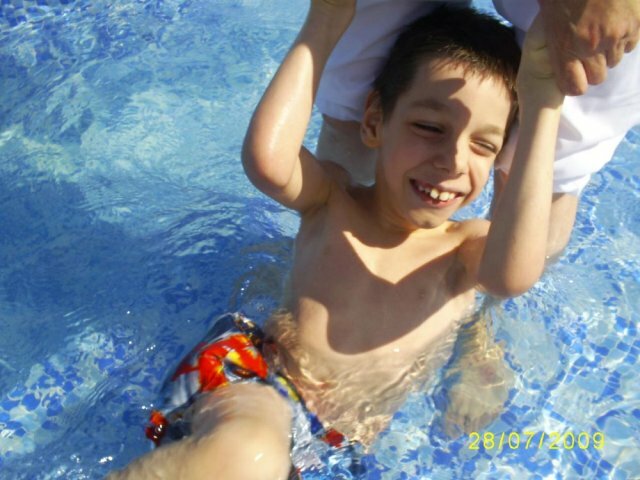 Zack has CP (which only seems to affect his lower limbs) and scoliosis. He is going GREAT mentally and I’m told that he is on target developmentally. His only “issue” is that he cannot walk. I have, however, seen a picture of him standing up while holding onto a chair. 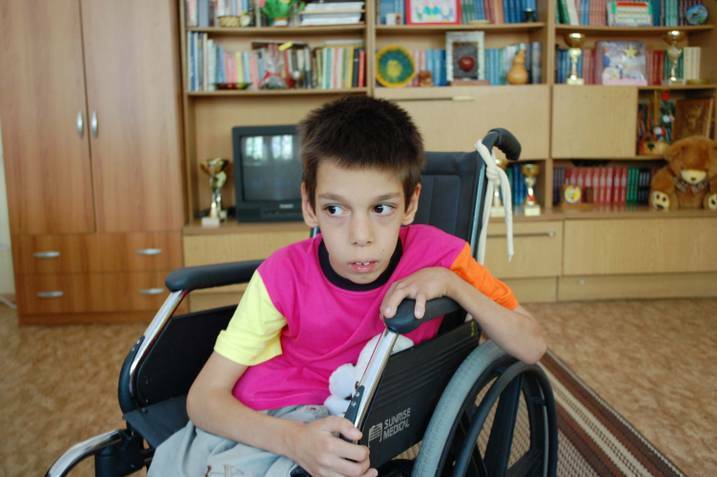 With good medical treatment, there is no telling how far Zack will go. Would you share his story wherever you possibly can? I would appreciate that so much. Zack has about six weeks left to find a family! That’s it! Thank you for sharing Zack's story! Thank you for being the hands and feet of Jesus to this little lovie who wants nothing more in this life than to belong—to love and be loved. "Now unto Him who is able to do exceedingly, abundantly above all that we ask or think, according to the power that works in us." Anyone wanting more information about adopting Zack can contact Shelley at shele337@gmail.com. 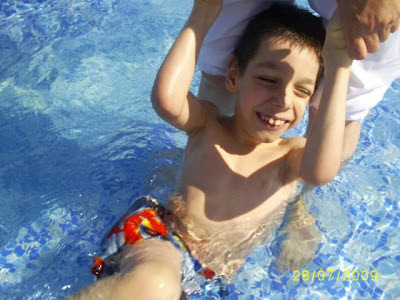 Donations to Zack's adoption fund can be made here.